The Harvard Club of Naples Welcomes Harvard University President Drew Faust to Naples! 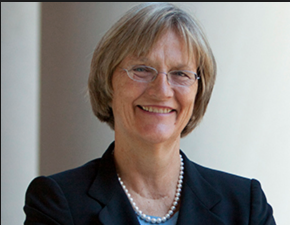 The Harvard Club of Naples cordially invites you to join us for a Reception featuring Harvard University President Drew Faust. This event is being co-hosted with the Harvard Clubs of Sarasota and Lee County. Please mark your calendars to join us for a reception with President Faust the 28th, and first woman, president of Harvard University. As president of Harvard, Faust has expanded financial aid to improve access to Harvard College for students of all economic backgrounds and advocated for increased financial funding for scientific research. She has broadened the University's international reach, raised the profile of the arts on campus, embraced sustainability, launched edX, the online learning partnership with MIT, and promoted collaboration across academic disciplines and administrative units as she guided the University through a period of significant financial challenges. You can see President Faust's full biography at www.harvard.edu/president/biography. Larry Bacow JD '76, MPP '76, PhD '78, Fellow of the Harvard Corporation and president emeritus of Tufts Unversity will join President Faust as they discuss Harvard's evolving campus and community as well as issues of higher education more generally - a conversation that I am sure will be of great interest! After the program, there will be plenty of time to mingle and enjoy drinks and appetizers with fellow alumni and friends. This event is open to all Harvard Alumni. Be sure to RSVP as soon as you can to reserve your spot - we have a feeling this event will sell out quickly! Click here to RSVP for this event! Ticketing will close for this event, this Thursday, on Jan 18th! Cost: $30 for Harvard Alumni and their guests; $25 for recent graduates; Free for current Harvard students.